Les Coches (1450m) is a modern resort built in chalet style with a good selection of ski chalets. It has a good atmosphere and benefits from its own ski school and kindergarten. 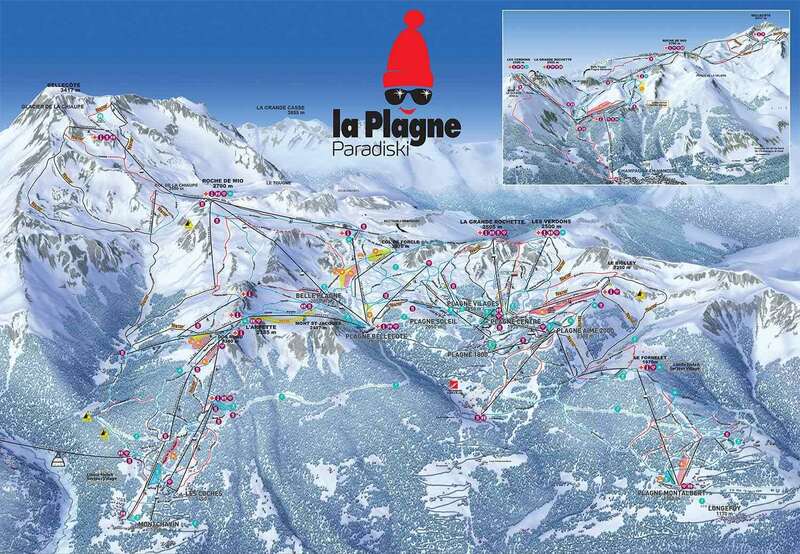 It is part of the Paradiski ski area which links La Plagne which is made up of ten different villages, each with its own style, ranging from the traditional at Plagne 1800 to the really modern at Aime La Plagne, and Les Arcs. Les Coches is at 1,450 metres and has good access to more than 200km of piste. Facilities for the beginner are good, with nursery slopes adjacent to each of the villages, and easy runs between each centre. Intermediates are well looked after, with the run from La Grand Rochette to Champagny a particular favourite. Advanced skiers will enjoy the black runs on the Bellecôte glacier, or the long tree-lined runs from Aime La Plagne past Plagne 1800. Off piste skiing is good, with the route to Les Arcs challenging. Plagne Soleil has a dedicated park for snowboarders. Children are well catered for at La Plagne, with nurseries in most of the villages. The nightlife is quieter than many of the other resort in the area, making it particularly attractive to families.